“What I teach isn’t yoga. I just call it yoga, because then more people will come”, said a gymnastics teacher in a Danish town. When Swami Sivanananda decided to share with us the secrets of the yoga tradition, I wonder, did he foresee what has happened to yoga within the last decade or two? On a larger scale, something similar has happened first in fitness centres in the USA, and now also in Europe, where a few so called “yoga” trends have cropped up. Common to these movements is that they limit themselves to a few physical exercises, which are performed in an extremely fast or strenuous manner – a manner which was never a part of the yogic tradition. Through use of proper yoga, you keep the body healthy and supple, and the mind sound – without letting yourself be dominated by the physical or the mental. The exercises, or the way you perform the exercises in these new movements, may give a brief kick. But this is a case of an amputated yoga, where the deep going effects are lacking. Nor do you find the finer breathing exercises here, or the deep relaxation – not to mention meditation – and therefore you do not get the benefits of these methods either, such as balance and overview. One participant relates that relaxation is avoided between the exercises during the hectic “yoga” session – “so as not to lose concentration!” But then you miss training an essential ability. It is not only while doing the exercises that concentration should be present and also grow. And if you get “cold” between the exercises, or “ bored”, then you should find a school with better facilities and teachers with a thorough training. Through the use of genuine yoga, apart from the feeling of well being you go home with, you get an ongoing effect, which builds up over time through practice. In our school, we have something we call weeds in our teaching. This is when the instructions we give as teachers suddenly, or gradually, depart from the original. This can happen consciously or unconsciously. You get ideas, you start changing the way of performing the postures, the breathing exercises, the concentration techniques, the relaxations or the meditations. 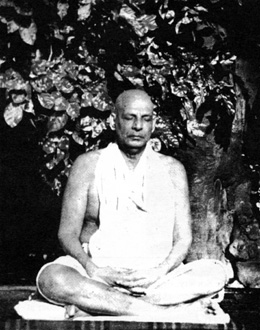 When we discover that weeds have crept in, we consider it in relation to what we have learnt from the tradition, especially from Swami Sivananda and Swami Satyananda. A yoga that, by oral tradition, goes back thousands of years, and which is also expressed in the classical texts “Gheranda Samhita”, “Hatha Yoga Pradipika” (about 1300 years old) and Yoga Sutra (probably 2300 years old). It is this tradition of yoga that is the basis of a large part of the medical research done on yoga in the 20th century. As regards the Yoga Sutras, one of the “yoga” movements makes use of this text in a totally distorted manner in relation to their name: what they teach and the way they teach it has absolutely nothing to do with “the eight-fold path” as their name means in Sanskrit. If we happen to tamper with yoga’s “genes”, structure or design, we ask ourselves whether we are improving on thousands of years of experience. A material that we, as individuals and teachers, have tested thoroughly in every way, thereby achieving the effects intended from yoga. Can yoga be made easier? Hardly. If you follow a harmonious course of teaching, without haste, then the exercises are always easy enough, because you move forward by degrees. Yoga has a style of its own, a mood and a rhythm of its own, which aims at giving both energy and a greater ability to let go and go deep, and it is this that makes it effective. Contemporary Western culture is, to a great extent, without wisdom. It suffers from a foolishness, which brings the individual up to be dependent, and does everything to seduce, in particular. children and young people, turning them into consumers. Every culture ends in disintegration sooner or later, history shows us this, but our so-called civilisation runs the risk of destroying itself before its time. Restlessness, superficiality and the search for slick or oversimplified methods dominate the spirit of today – and that is not exactly what you are looking for in yoga. The culture, or rather the lack of cultural tradition which often expresses itself, for instance in the USA, unfortunately breeds a we-know-better attitude and a lack of respect for the knowledge achieved over generations. That we have a common human heritage here on this Earth is ignored. 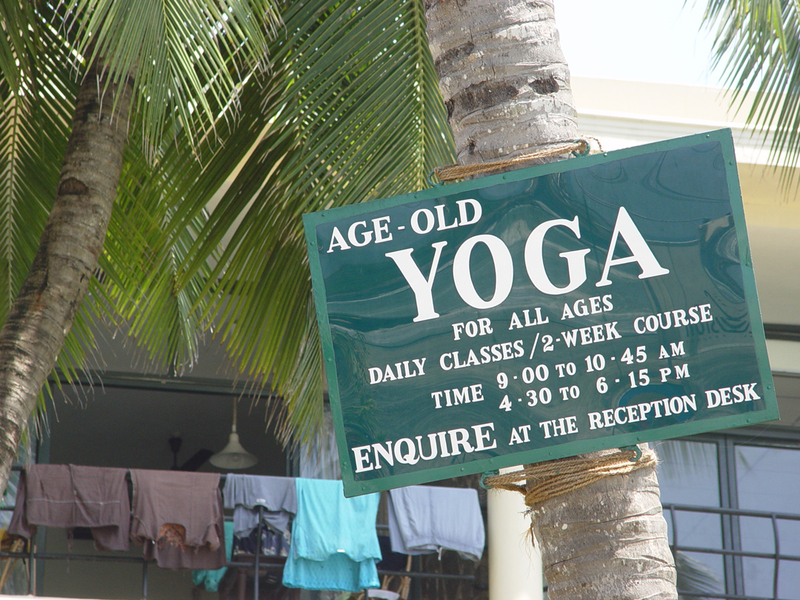 Time is not taken to go deep and discover what yoga really is and what it can do. Ignorance combined with an exaggerated fascination with acrobatics and manic “fitness” exercises, make people believe that they can improve yoga. Is there no understanding that self-know­ledge, peace, and resting in yourself is timeless, that it has been attained by those gone before, and that you can learn from them? You may pretend to know everything, but all you do is change yoga according to your limited knowledge. Well, then you end up going round in the circles of your own illusions and expectations. What is happening to yoga now, happened in the 1980s to the term Chakra. It was also taken out of the original yoga with its experience, exercises, and guidance, and broadcasted by people who claimed to possess a deeper knowledge. The main part of this “knowledge” is based mostly on their own fantasy and imagination. The precise effect of each exercise in yoga is so well established that you may well marvel at the knowledge that those who “invented” yoga possessed of humankind. This is true especially of the breathing during the exercises. 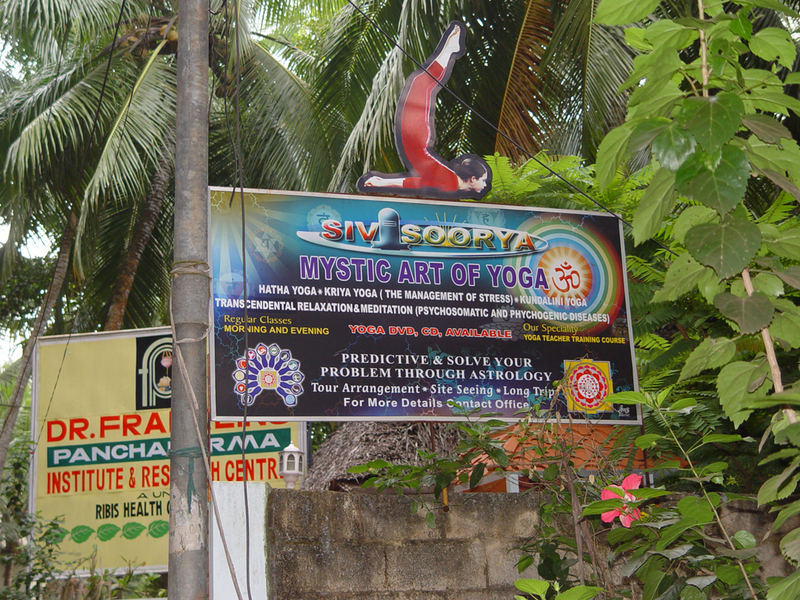 Still, some people have tried to “improve” yoga in this area also. By suggesting, for example, that you should breathe through the mouth instead of through the nose during certain exercises. This should be sufficiently refuted by the studies done at the Karolinska Hospital in Stockholm. Also with regard to the breathing exercises in yoga, it is best to keep to the original guidance, to ensure a stable cleansing, distribution and strengthening of the energy. From time to time, our culture has let itself be influenced by yoga, and its exercises have been used also in other contexts. This is of course positive. One example of this is shoulderstand, which is used, or at least was used when I went to school, in the gymnastics classes. In this instance, it is good that the exercise be performed in a fairly brief manner together with other gymnastic exercises, not as in yoga, where you stand quite still in it for a lengthy period of time. It is actually one of the few yoga poses that children should not do (in a “yogic” manner) before their glands are fully developed. A recent, not so successful example is so-called stretching, where you certainly stretch some muscles, but in comparison to yoga, in a superficial and hasty manner. This therefore gives quite different and, even in some cases, unwanted effects, if certain recent studies are to be taken into account. A positive example of how to use an exercise, even though it’s not quite the way it “should” be done, we find in the article about headstand, which we have been permitted to publish from the Danish weekly magazine Familie Journalen. Of course, you can stand on your head, even if you don’t call it yoga – it is said that the French comedy writer Molière did, “ because it did him good”. It may be assumed that the yoga tradition was not known in France in those days, but maybe he learned it from the theatre, from Comedia del’ Arte. Who knows? Not everybody wants to practise yoga but those who are looking for what yoga has to offer shouldn’t be conned by a false trade description. Those of us who know the effects of yoga may not need to read the growing amount of data from scientific research now available on yoga and meditation. However, it might be good to have a mirror so as to see yoga from the outside and here, science is a great help. But if science is to be credible in the future, it should not only describe the effects of a yoga exercise, but also exactly how it is performed, and what background both the teacher and the person doing the exercise have. 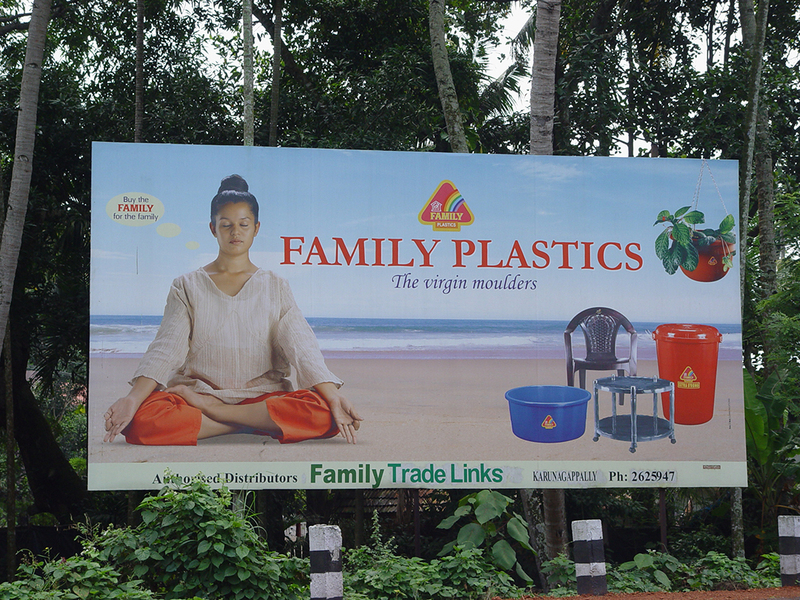 I wonder whether Swami Satyananda could have imagined the following advert from somewhere in Sweden 1999. When it comes down to it, the physical yoga, when used correctly so the desired effects are achieved, is only a stepping stone towards a higher yoga – and what is meant by this… see the article On the path to a greater awareness.